May was busy busy busy in our household! This month Luke decided he was ready to walk and we have not been able to keep up with him since, his Nanny bought him his first proper pair of shoes so he is well and truly established on his feet, its so cute watching toddle around by himself. Luke was also a bit down in the dumps this month as he's had a chesty cough that he hasn't been able to shift, this result in a couple of trip to the doctor and one to the hospital for some xrays but he's all good and getting better. 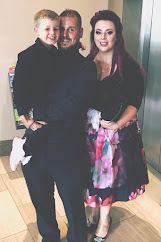 This month the OH and I also had some holidays from work so we got to spend some quality time together as a family before my hectic work schedule kicks off for the Summer. 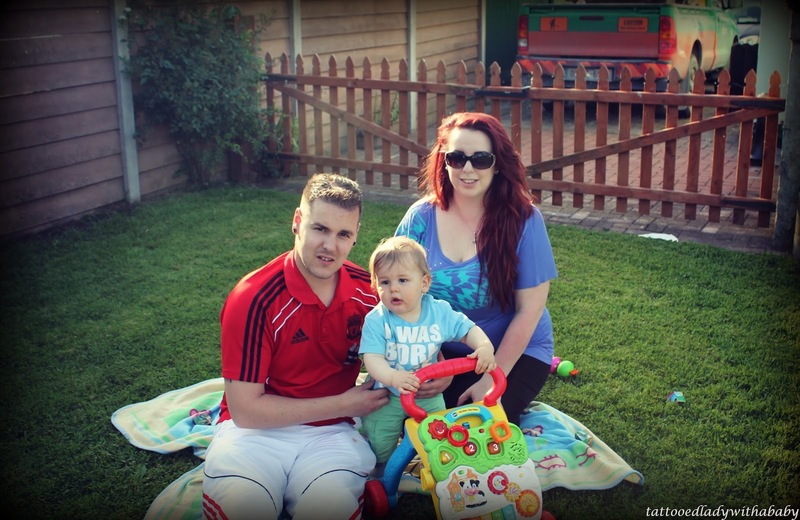 We had some lovely family days out, visited some soft play areas, Luke is a sucker for a ball pond. He went to his friends birthday party as well as his big sister's Holy Communion ceremony, he's had numerous play dates...this kid has a better social life than his parents! We have also had a couple of girly nights and night with the boys for ourselves too. So May really has been jam packed. 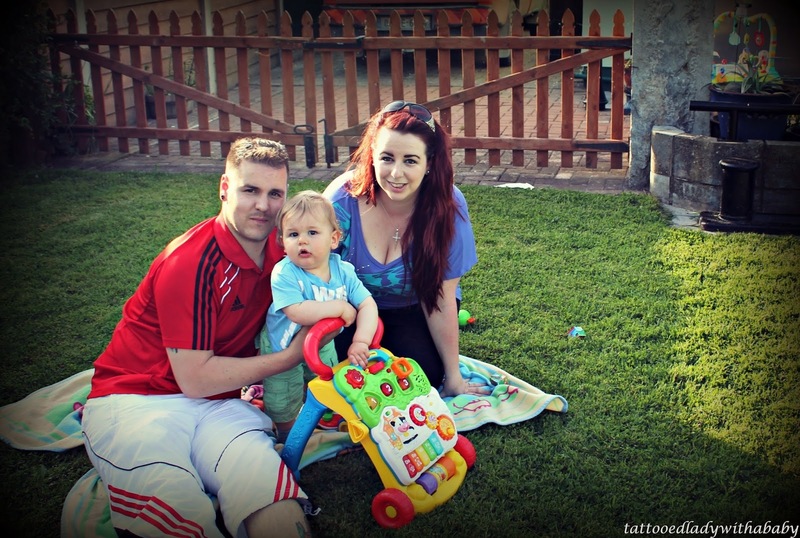 Our family portrait was taken in my Mam's house after a long day of playing in the sunshine and having a family BBQ (excuse the bags under my eyes, a mixture of too much sun, hayfever and being tired!) but I love this month's picture as it captures us on the last day of a really good month. Thank you :) He had me run ragged today anyway but its great for tiring him out for a good nights sleep too! Lovely photos, so lovely to be out in the sunshine at long last! Thank you :) The sun hid today but at least we got one good day from it, a typical Irish summer!